Become Mahout for a day and experience the thrill of being up close and personal with these amazing Asian elephants at Elephant Village Camp! In Laos, a mahout usually starts as a boy in the "family profession" when he is assigned an elephant early in its life and they remain bonded to each other throughout their lives. 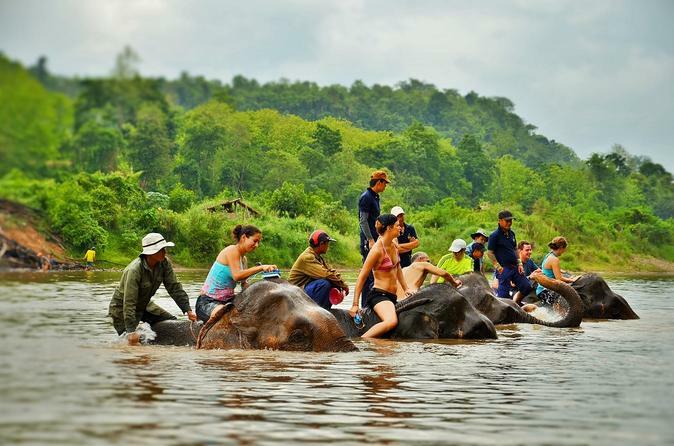 From bathing them in the Namkhan River to riding with them, you are guaranteed to have fun and get educated about the mighty Asian elephants. This tour includes all of our most popular activities packed into a single day trip. Get ready to get wet as you plunge into the Namkhan River and give your elephant a refreshing bath! 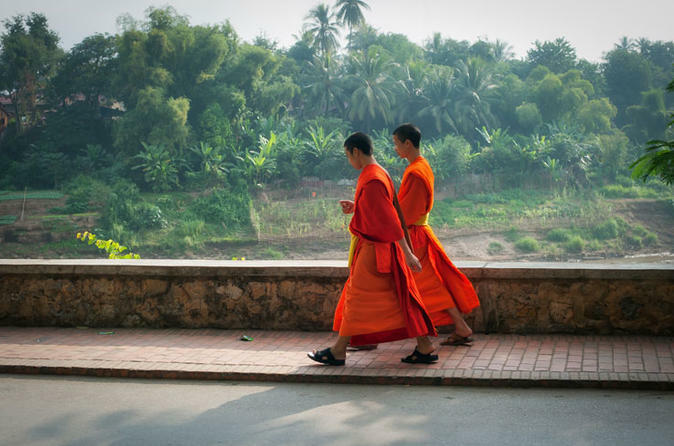 Enjoy a fun day trip that takes you beyond Luang Prabang to the serene countryside where you discover the true Laos, rich with traditions and heritage. 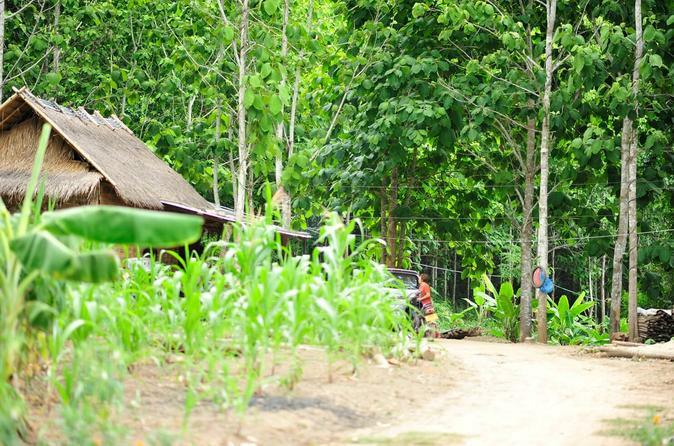 Cycle along peaceful dirt roads, explore nearby villages, and observe the local way of life along the Mekong River. 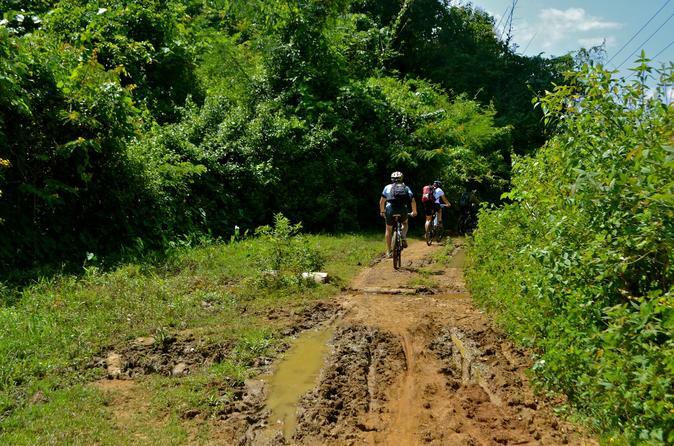 Friendly locals, stunning temples, and scenic back country roads makes this 8-hour cycling trip ideal for those who would like to explore the unspoilt nature and local life surrounding the beautiful Luang Prabang. Discover the city by electric bike and visit Wat Visoun, Royal Palace, Wat Xienthong, Traditional Arts and Ethnology Centre, Mount Phousi, and a local hill tribe village. For those who have seen the major sites of Luang Prabang, this 2-day private tour will be recommended for you. 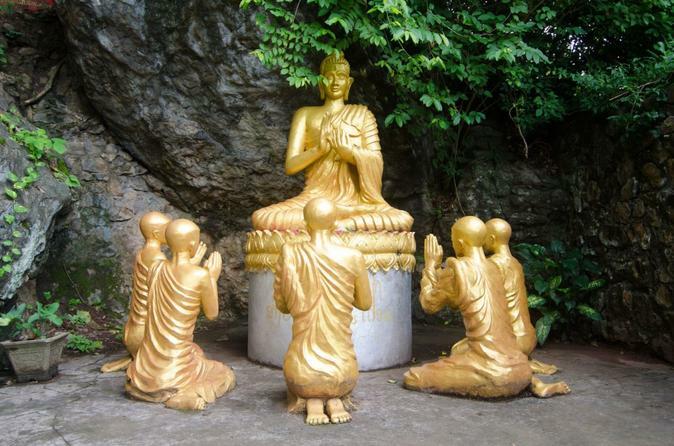 We’ll surely will make you feel satisfied with visits to some lesser-known place in Luang Prabang. From the simple landscapes to the tranquil life of the local people, experience them all. Luang Prabang is a lovely and peaceful city in Laos. 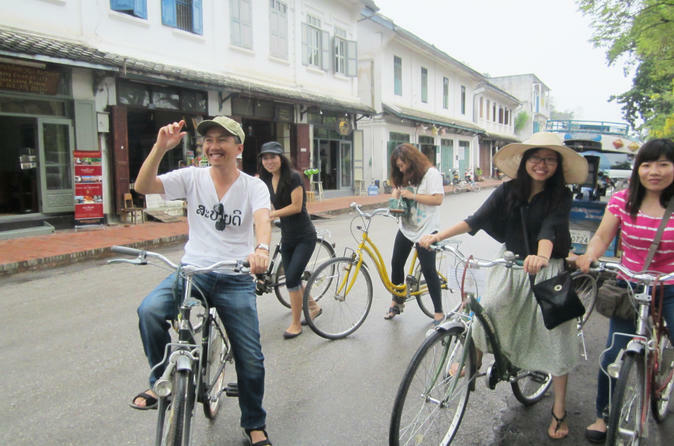 Cycling around this old town to discover many attractions would be a great experience for you and your friends or family. 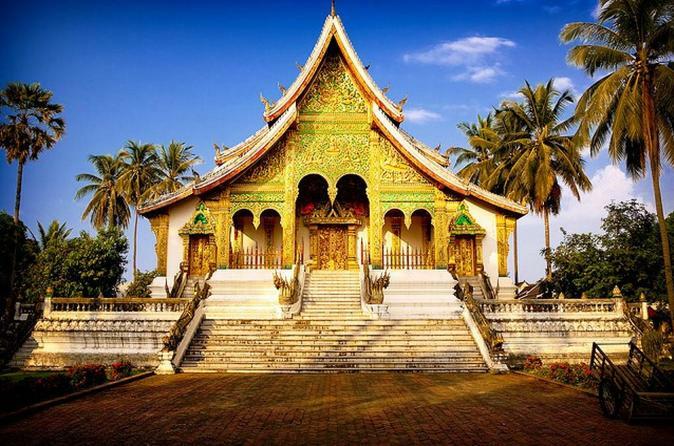 Book this 3-night tour to explore the beautiful city of Kuang Prabang located on the confluence of the Nam Ou and the Mekong River and is made up of distinctive colonial architecture and dazzling temples. Saffron clad monks replace vehicles in this timeless, atmospheric city, as they often scurry the small streets. Experience the top of Mount Phousi with astonishing views over LuangPrabang at sunset, Pak Ou Cave, Khuang Si Fall and more. Luang Prabang, a UNESCO World Heritage city, is an outstanding example of the fusion of Lao traditional architecture and its urban structure built by the European colonial authorities in the 19 century. Luang Prabang’s unique and remarkably well-preserved towns-cape illustrates a key stage in the blending of these two distinct cultural traditions. Book this full-day tour to visit some of the most popular attractions in Luang Prabang, such as the National Museum as well as impressive temples including Vat Visoun, Vat Aham, Vat Xieng Thong and Wat Mai. Also visit the local Night Market and enjoy a spectacular sunset view over the Mekong River. 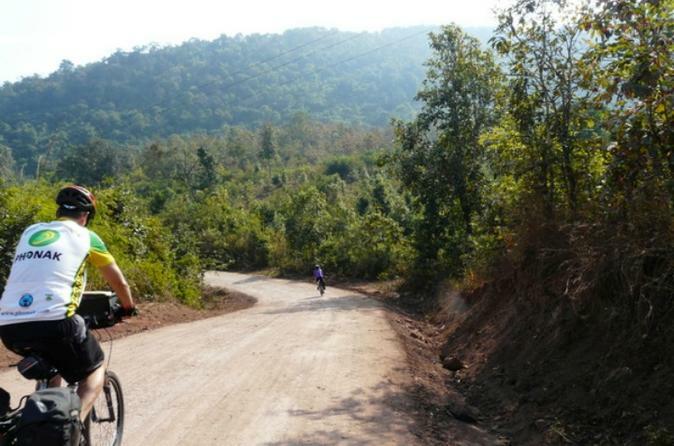 Book this unique cycling tour from Luang Prabang to local villages. Luang Prabang, the ancient town in the Northern Laos that is always charming with its unique tranquility and the countryside of Luang Prabang, in fact, is even more alluring with hidden corners. This off-the-beaten-path cycling experience would be perfect for nature lovers, authentic culture seekers and active travelers. Join us to see different side of Laos and learn more about the the history and unique tradition of Laos' ethnic groups.